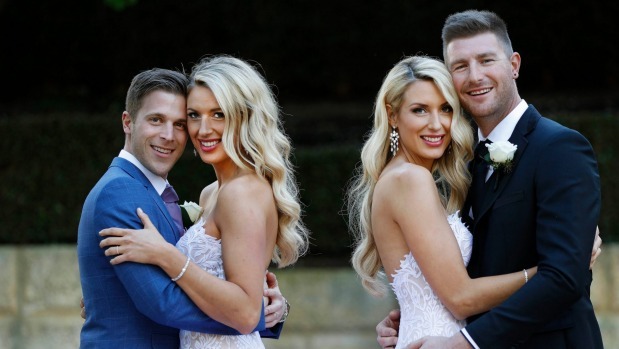 Mediaworks are expanding their reality TV portfolio with a local version of the controversial stranger-wedding show Married At First Sight. It’s a substantial U-turn by the broadcaster, who only in December canned plans for their own edition of the show after it was well into pre-production, upsetting producers Greenstone. But a big ratings hike for the third season of the Australian version of the show, which ‘super-sized’ itself with 10 couples marrying on their first meeting then being forced to mix together for the remainder of the run, convinced them to change their mind. Mediaworks said that show was their biggest rating import of the year to date. ﻿A US version which tanked heavily, dumped off primetime after two weeks, was not a factor for Mediaworks, said the network’s chief content officer Andrew ​Szusterman because that was a cheaper, made-for-cable format. Mediaworks haven’t gone back to Greenstone, instead signing up with Warner Bros, who make their other reality dramas The Bachelor and The Block. Warners will have to work fast: MediaWorks Chief Content Officer Andrew Szusterman says they want to air the show before the end of 2017. A casting call has gone out for singles “genuinely ready to commit to love” who are over 25, “from any background, ethnicity and sexual orientation”. The Aussie version has come under fire for its pitiful rate of return of couples actually staying together after the show concludes, despite the supposedly “scientific” matching of the pairs by a panel of psychologists, including Kiwis John Aiken and Trisha Stratford. But Szusterman says Mediaworks’ background in successfully matching couples on a similar annual promotion on the Edge radio station shows they can make it work in New Zealand: “we are not new to this game”. ​Asked why they had a change of heart, Szusterman said the show’s format had “evolved” and “transformed” and the audience had responded, and “we are keen to capitalise on that”.